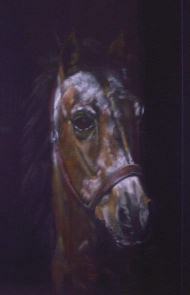 Here are a few examples of our paintings. Misty is a 25+ years old pony. A six years old German gelding. 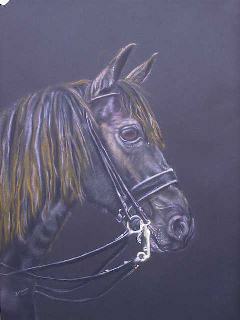 This mare, sired by Rinaldo, was a great dressage-promise in Holland. She was sold to Japan some years ago. 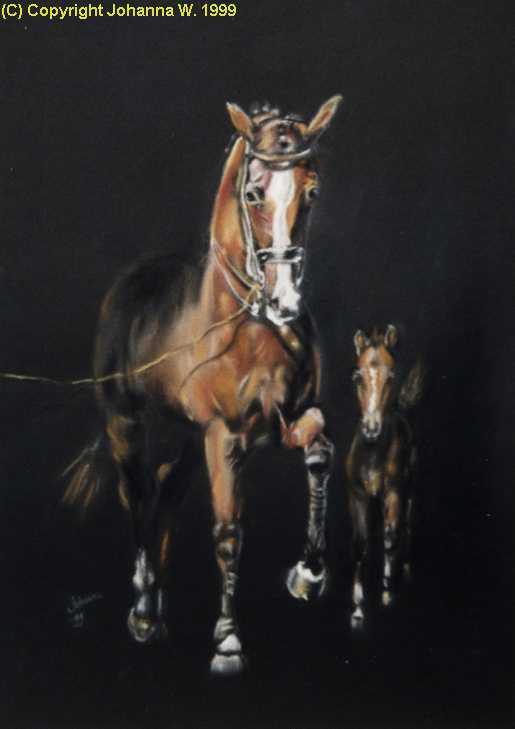 The painter painted her in full action with a foal. 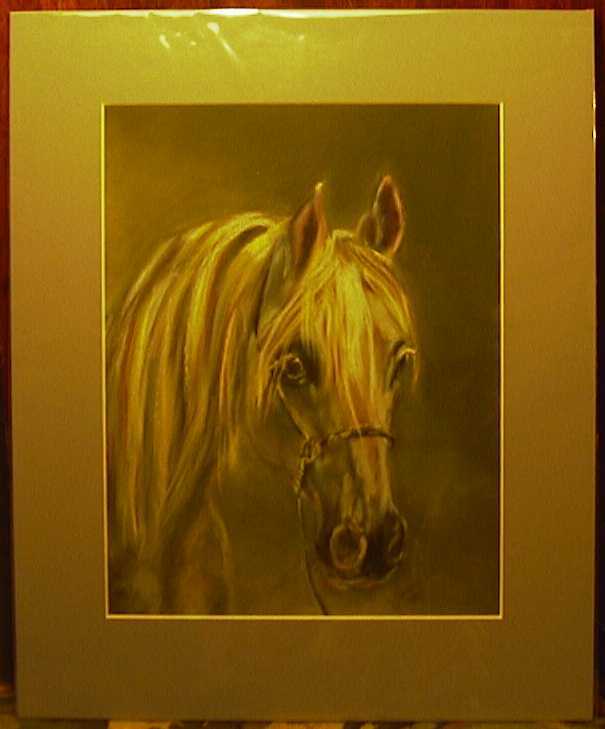 The size of this pastel is 50 x 70 cm, white mount and black frame. 20th century, classic athmosphere. 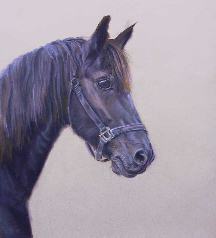 This pastel represent a grey jumper, stallion, sired by 'Cor de la Bruyère', sized 62,5 x 62,5 cm, XXe century. The classic athmosphere invites. The frame is aluminium: messing colored with a plebbles stone (white) passe-partout. 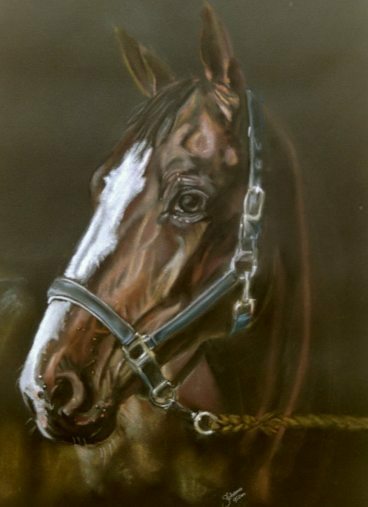 This pastel (63 x 77 cm; 25,2 x 30,8 inch) represents -the Dutch KWPN riding stallion- 'Meinens Jet-Set D', best stallion of it's year. 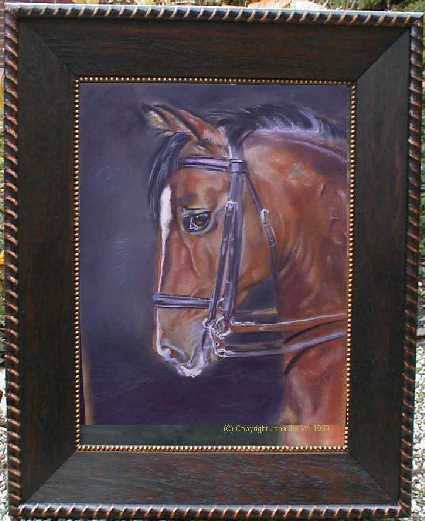 He won the jumping competion in 1995-1996 amongst Dutch stallions. Since august '98 he is in training as dressage-horse and seems the be a great promise. 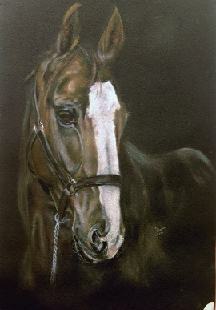 In 1999 he became champion in the National Dressage Competition in the 'Z'-level. 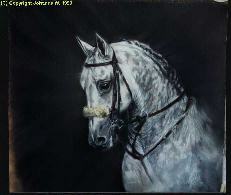 The painting shows the stallion with a appealing head in the misty atmosphere of a competition, just coming out of the ring. 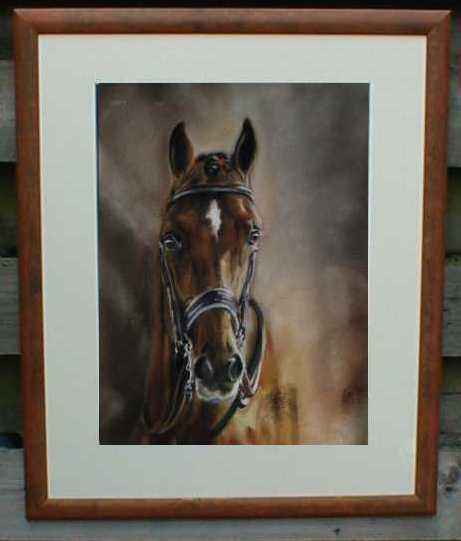 The painting is beautifully framed with a 'pebbles' mount and professionally, hand made, fresco wooden frame.